Kerri went to Whole Foods today at lunch time, and bought me this as a surprise – a beer named after Rick Stein’s beloved dog Chalky who has now sadly passed away but is still very much alive in many re-runs of his television shows. I rather enjoyed it, along with its interesting addition: ginger, which comes through more in the finish than it does initially. This is the second Chalky beer – the first one was called Chalky’s Bite. I don’t know if Chalky’s Bark is stronger than his Bite or not. 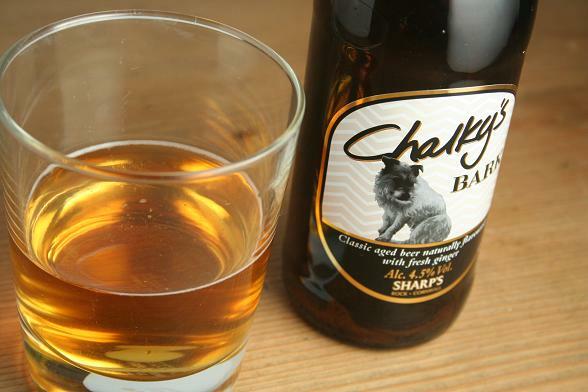 Subscribe to comments with RSS	or TrackBack to 'Chalky’s Bark Beer'.